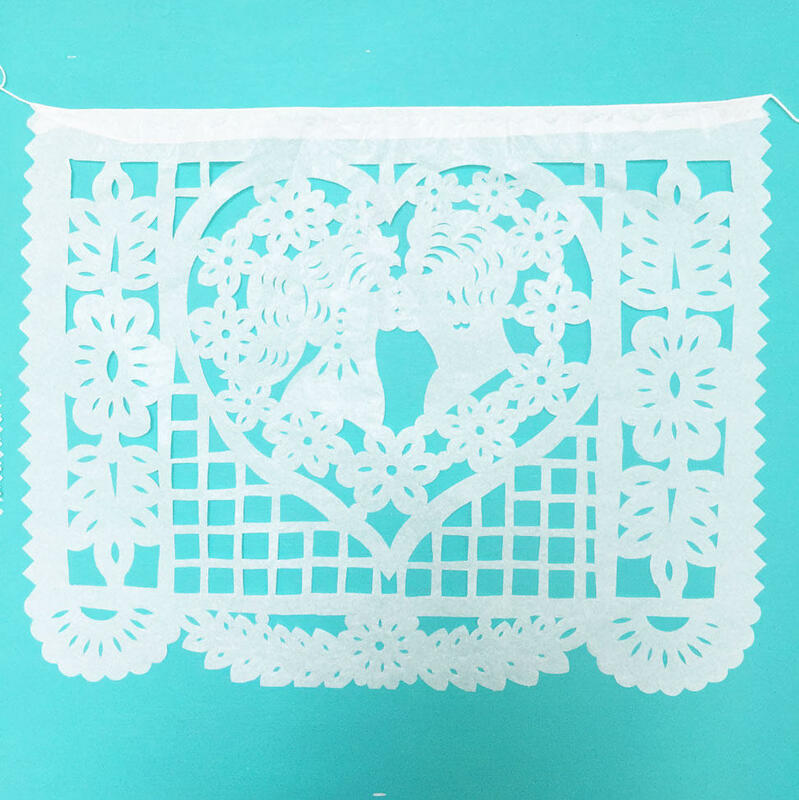 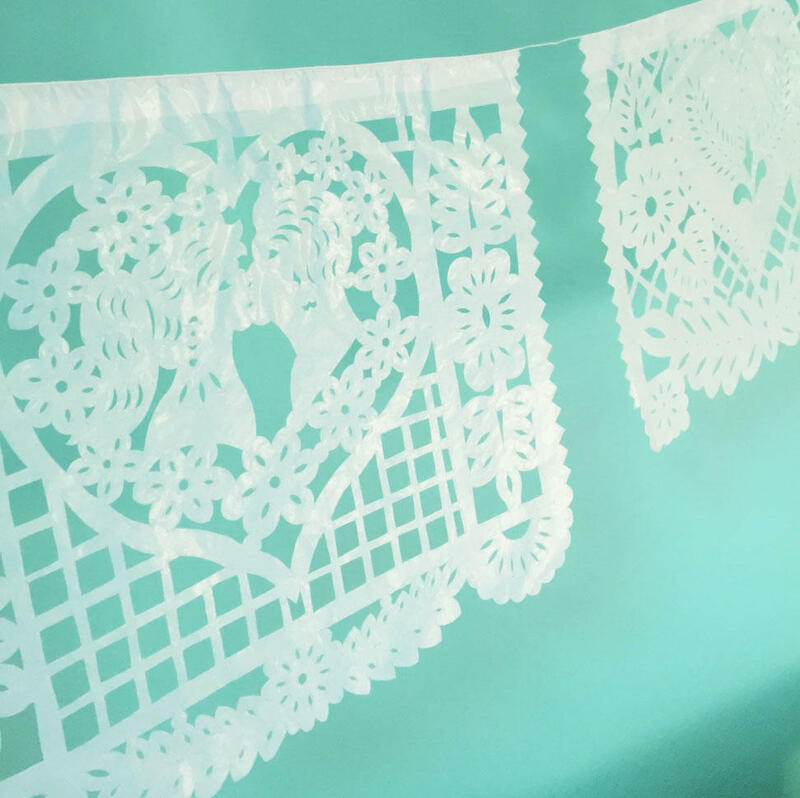 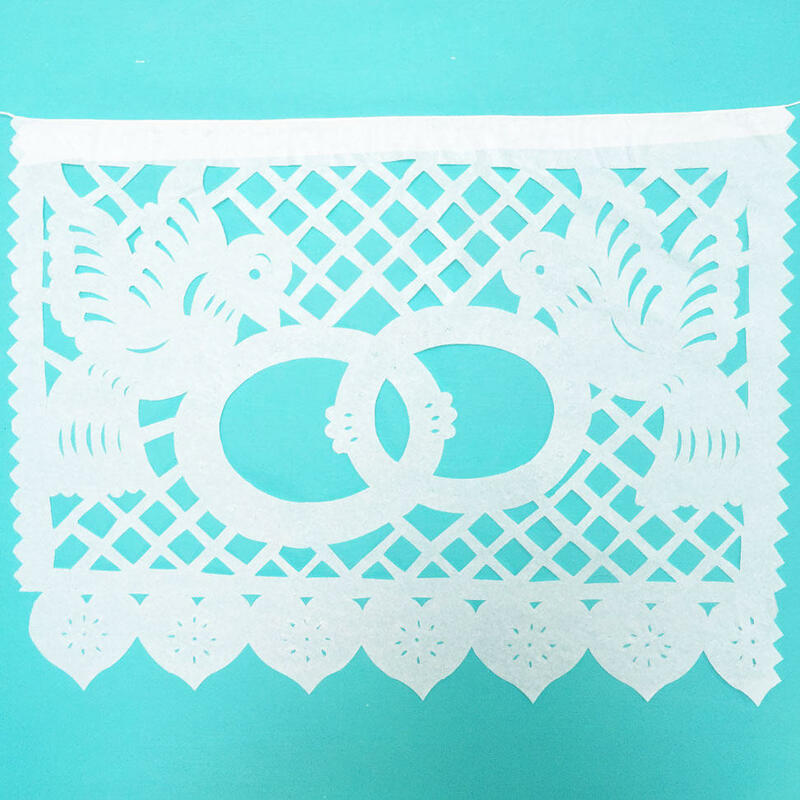 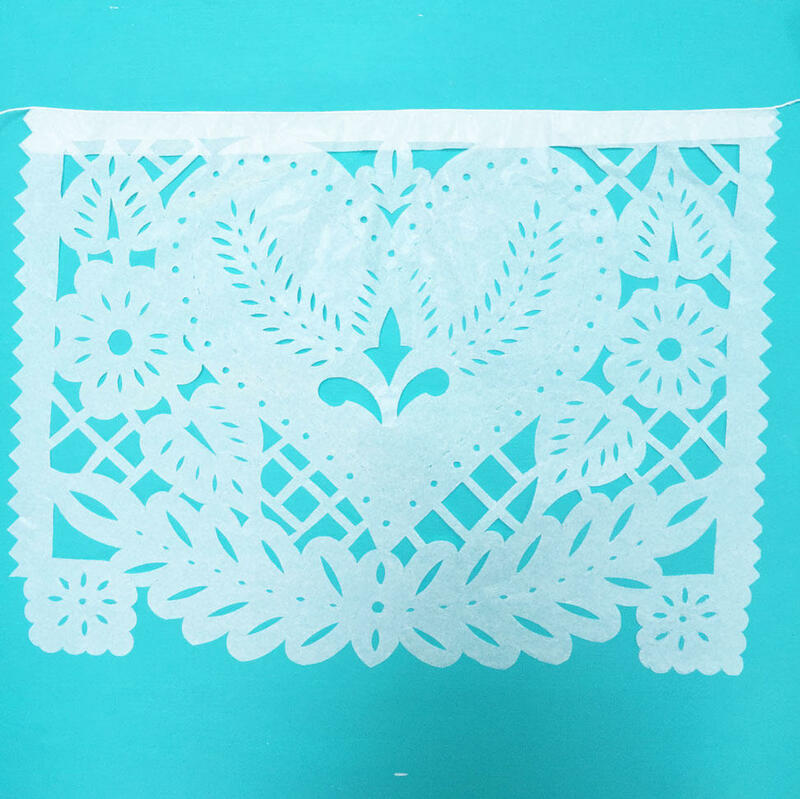 Beautiful artisan made papel picado perfect for weddings, anniversaries and celebrations. 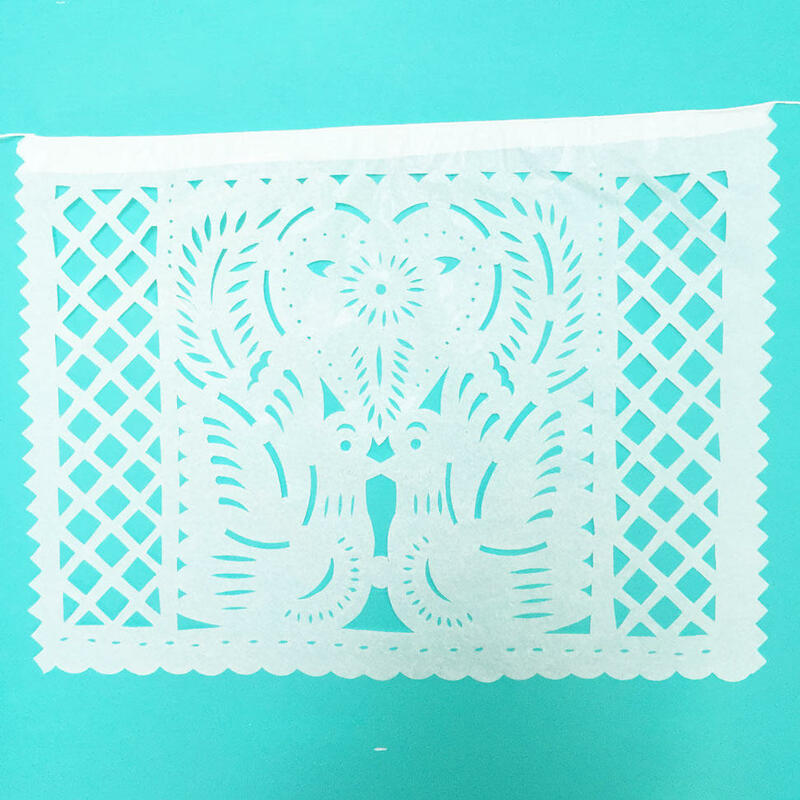 Designs featuring doves, hearts and a lovely kissing couple. 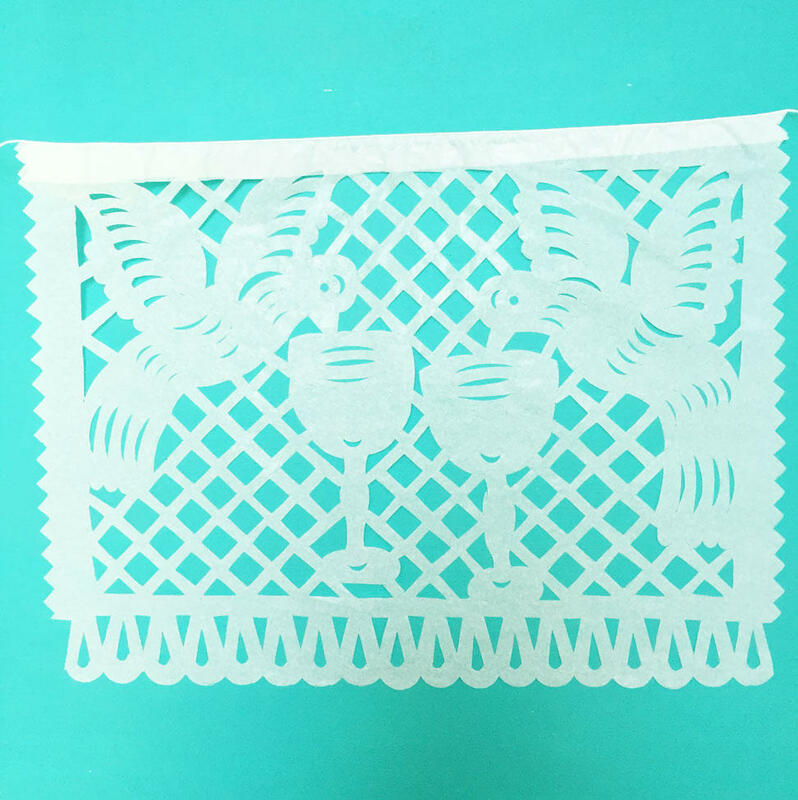 Each set contains two of each design shown.